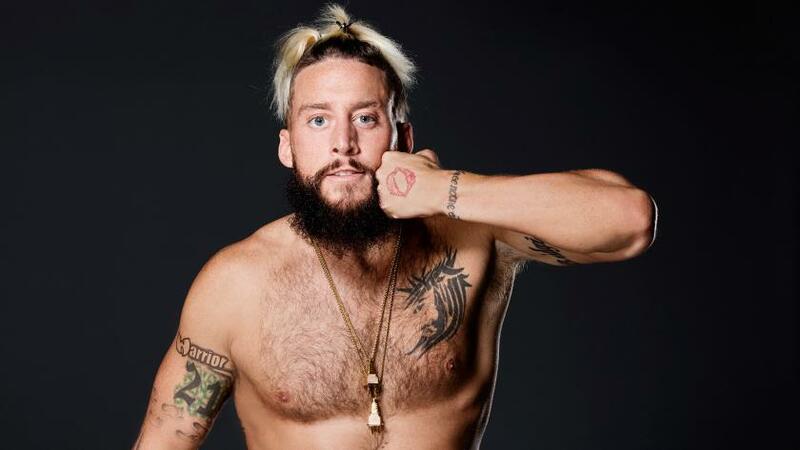 Enzo Amore is an American Professional wrestler who is currently signed to NXT Wrestling. February 7, 2013 – NXT Live Event: Danny Burch defeated Enzo Amore. February 14, 2013 – NXT Live Event: Enzo Amore vs Malik Omari ended in a draw. April 18, 2013 – NXT Live Event: Enzo Amore (w/Colin Cassady) defeated Baron Corbin. May 23, 2013 – NXT: Mason Ryan defeated Enzo Amore (w Colin Cassady). June 6, 2013 – NXT: Mason Ryan defeated Colin Cassady (w Enzo Amore). July 4, 2013 – NXT: Mason Ryan defeated Enzo Amore. Post-match, Colin Cassady came out and requested a match with Mason. Mason Ryan defeated Colin Cassady. July 11, 2013 – NXT: Colin Cassady and Enzo Amore defeated Mason Ryan in a 2vs1 handicap match. August 9, 2013 – NXT Live Event: Mason Ryan and Mojo Rawley defeated Colin Cassady and Enzo Amore. August 24, 2013 – NXT Live Event: Mason Ryan defeated Colin Cassady (w Enzo Amore). August 29, 2013 – NXT: Scott Dawson (w/ Sylvester Lefort) defeated Enzo Amore (w/ Colin Cassady). September 12, 2013 – NXT: Enzo Amore and Colin Cassidy defeated Scott Dawson and Alexander Rusev by disqualification. September 25, 2013 – NXT: The Ascension (Conor O’Brian and Rick Victor) defeated Enzo Amore and Colin Cassady, Tyler Breeze and CJ Parker & Scott Dawson and Alexander Rusev in a 4-way gauntlet match to become #1 contenders for the tag team titles. October 30, 2013 – NXT: Alexander Rusev and Sylvester LeFort defeated Enzo Amore and Colin Cassady. May 16, 2014 – NXT Live Event: Colin Cassidy w Enzo Amore defeated Sawyer Fulton. May 17, 2014 – NXT Live Event: Colin Cassidy w Enzo Amore defeated Sawyer Fulton. June 26, 2014 – NXT: Colin Cassidy w/Enzo Amore defeated Sawyer Fulton. June 28, 2014 – NXT Live Event: Simon Gotch and Aiden English defeated Enzo Amore and Colin Cassady. July 3, 2014 – NXT: Colin Cassady w Enzo Amore defeated Sylvester Lefort w/Marcus Louis. July 12, 2014 – NXT Live Event: Marcus Louis /Sylvester LeFort defeated Colin Cassady w/Enzo Amore. July 17, 2014 – NXT: Simon Gotch and Aiden English defeated Enzo Amore and Colin Cassady. July 26, 2014 – NXT Live Event: Marcus Louis /Sylvester LeFort defeated Colin Cassady w/Enzo Amore. August 7, 2014 – NXT: Jason Jordan and Tye Dillinger defeated Enzo Amore and Colin Cassady in the 1st round of the tag team titles tournament. August 8, 2014 – NXT Live Event: Colin Cassady and Enzo Amore defeated The Mechanics (Dash Wilder and Scott Dawson). August 21, 2014 – NXT: Simon Gotch and Aiden English defeated Enzo Amore and Colin Cassady. August 23, 2014 – NXT Live Event: Enzo Amore and Colin Cassady defeated Sylvester Lefort and Marcus Louis by disqualification. August 30, 2014 – NXT Live Event: Enzo Amore w/Colin Cassady defeated Sylvester LeFort w/Marcus Louis. September 5-6, 2014 – NXT Live Event: Enzo Amore w/Colin Cassady defeated Sylvester LeFort w/Marcus Louis. September 11, 2014 – NXT Take Over 2: Enzo Amore w Colin Cassady defeated Sylvester Lefort w Marcus Louis in a hair vs hair match. Marcus Louis end up getting his hair shaved bald. September 18-20, 2014 – NXT Live Event: Colin Cassady w/Enzo Amore defeated Marcus Louis w/Sylvester LeFort. September 25, 2014 – NXT: Enzo Amore w/Colin Cassady defeated Marcus Louis w/Sylvester LeFort. October 2-4, 2014 – Live Event: Colin Cassady and Enzo Amore defeated Dash Wilder and Scott Dawson. October 9, 2014 – Live Event: Colin Cassady and Enzo Amore defeated Simon Gotch and Aiden English. October 10, 2014 – Live Event: Aiden English and Simon Gotch defeated Colin Cassady and Enzo Amore. October 11, 2014 – Live Event: Colin Cassady and Enzo Amore defeated Aiden English and Simon Gotch. October 16, 2014 – NXT: Colin Cassady and Enzo Amore vs. Marcus Louis and Sylvester LeFort ended in a no contest. October 17-18, 2014 – Live Event: The Ascension defeated Colin Cassady and Enzo Amore & Aiden English and Simon Gotch in a 3-way tag team match. October 30, 2014 – NXT: Colin Cassady and Enzo Amore participated in a #1 contenders battle royal for the tag titles won by Aiden English and Simon Gotch. November 6, 2014 – Live Event: Enzo Amore defeated Sawyer Fulton. November 8, 2014 – Live Event: Solomon Crowe defeated Enzo Amore. November 13-15, 2014 – Live Event: Colin Cassady and Enzo Amore defeated Dash Wilder and Scott Dawson. November 20, 2014 – NXT: Colin Cassady and Enzo Amore defeated Scott Dawson and Dash Wilder. November 20, 2014 – Live Event: Colin Cassady, Enzo Amore and Hideo Itami defeated The Ascension and Tyler Breeze. December 18, 2014 – NXT: The Ascension defeated Colin Cassady and Enzo Amore w Carmella. December 18, 2014 – Live Event: Colin Cassady and Enzo Amore defeated Aiden English and Simon Gotch. January 23, 2015 – NXT Live Event: Simon Gotch and Enzo Amore defeated Colin Cassady and Enzo Amore. February 6, 2015 – NXT Live Event: Dash Wilder and Scott Dawson defeated Enzo Amore and Colin Cassady. February 18, 2015 – NXT: Colin Cassady and Enzo Amore w Carmella defeated The Vaudevillains. March 11, 2015 – NXT: Colin Cassady and Enzo Amore defeated Sin Cara and Kalisto. March 27, 2015 – NXT Live Event: NXT tag team champions Blake and Murphy defeated Enzo Amore and Colin Cassady & The Vaudevillains in a 3-way tag team match to retain the titles. March 28, 2015 – Wrestlemania Fan Axess: Colin Cassady and Enzo Amore defeated Scott Dawson and Dash Wilder. April 2, 2015 – NXT Live Event: Colin Cassady and Enzo Amore w Carmella defeated The Vaudevillains. April 4, 2015 – NXT Live Event: Colin Cassady and Enzo Amore defeated Blake and Murphy & The Vaudevillains in a 3-way tag team match. April 10, 2015 – NXT Live Event: Colin Cassady and Enzo Amore w Carmella defeated The Vaudevillains. April 11, 2015 – NXT Live Event: Colin Cassady and Enzo Amore defeated Scott Dawson and Dash Wilder. April 16, 2015 – NXT Live Event: Colin Cassady and Enzo Amore defeated Scott Dawson and Dash Wilder. May 1, 2015 – NXT Live Event: Colin Cassady and Enzo Amore defeated Scott Dawson and Dash Wilder. May 9, 2015 – NXT Live Event: Colin Cassady and Enzo Amore defeated Blake and Murphy. May 14, 2015 – NXT Live Event: NXT tag team champions Blake and Murphy defeated Colin Cassady and Enzo Amore to retain the titles. May 15, 2015 – NXT Live Event: Colin Cassady and Enzo Amore defeated Bull Dempsey and Tyler Breeze. May 16, 2015 – NXT Live Event: NXT tag team champions Blake and Murphy defeated Colin Cassady and Enzo Amore to retain the titles. May 20, 2015 – NXT TakeOver – Unstoppable: NXT tag team champions Blake and Murphy defeated Colin Cassady and Enzo Amore to retain the titles. May 23, 2015 – NXT Live Event: Carmella, Colin Cassady and Enzo Amore defeated Alexa Bliss, Blake and Murphy. June 20, 2015 – NXT Live Event: Colin Cassady and Enzo Amore defeated Chad Gable and Jason Jordan & NXT tag team champions Blake and Murphy in a 3-way non-title tag team match. July 9, 2015 – NXT Live Event: NXT tag team champions Blake and Murphy defeated Colin Cassady and Enzo Amore & Chad Gable and Jason Jordan in a 3-way non-title tag team match. July 11, 2015 – NXT Live Event: Bull Dempsey, Colin Cassady and Enzo Amore defeated Blake, Murphy and Tyler Breeze. July 17, 2015 – NXT Live Event: Colin Cassady and Enzo Amore defeated Dash Wilder and Scott Dawson. July 25-26, 2015 – WWE Live Event: Colin Cassady and Enzo Amore w Carmella defeated The Ascension. August 1, 2015 – Main Event: Colin Cassady and Enzo Amore defeated Brad Maddox and Heath Slater in a dark match. August 7, 2015 – NXT Live Event: Colin Cassady and Enzo Amore defeated Alexander Wolfe and Marcus Louis w Sylvester LeFort. September 30, 2015 – NXT: Finn Balor and Samoa Joe defeated Enzo Amore and Colin Cassady in the quarter-finals. October 2-3, 2015 – NXT Live Event: Enzo Amore and Colin Cassady defeated Jason Jordan and Chad Gable. October 4, 2015 – NXT Live Event: Enzo Amore and Colin Cassady defeated Dash Wilder and Scott Dawson. October 14, 2015 – NXT: Enzo Amore and Colin Cassady were in the #1 contenders battle royal for the NXT title won by Apollo Crews. October 24, 2015 – NXT Live Event: Enzo Amore and Colin Cassady w Carmella defeated Chad Gable and Jason Jordan. December 9, 2015 – NXT: Colin Cassady and Enzo Amore defeated John Skyler and Corey Hollis. December 10-12, 2015 – NXT Live Event: Colin Cassady and Enzo Amore defeated Blake and Murphy. December 14-15, 2015 – NXT Live Event: Colin Cassady and Enzo Amore defeated Blake and Murphy. January 30, 2016 – NXT Live Event: Colin Cassady and Enzo Amore defeated The Vaudevillains. February 3, 2016 – NXT: Colin Cassady and Enzo Amore defeated Jack Hurley and Ricky Starks. February 6-7, 2016 – WWE Live Event: Colin Cassady and Enzo Amore defeated The Ascension. February 12, 2016 – Main Event: Colin Cassady and Enzo Amore defeated King Khash and Randy Hawkins in a dark match. February 13, 18-20, 2016 – NXT Live Event: Colin Cassady and Enzo Amore defeated The Vaudevillains. February 25, 2016 – NXT Live Event: Chad Gable and Jason Jordan defeated Blake and Murphy, Colin Cassady and Enzo Amore & The Vaudevillains in a 4-way tag team elimination match to become #1 contenders for the tag titles. February 27-28, 2016 – WWE Live Event: Colin Cassady and Enzo Amore defeated The Ascension. Colin Cassady, Enzo Amore and The Big Show defeated The Wyatt Family (Braun Strowman, Erick Rowan and Luke Harper). March 18-19, 2016 – NXT Live Event: Colin Cassady and Enzo Amore defeated The Vaudevillains. March 24, 2016 – NXT Live Event: Apollo Crews, Colin Cassady and Enzo Amore defeated Dash Wilder, Scott Dawson and Baron Corbin. March 31, 2016 – WrestleMania Fan Axxess: Colin Cassady and Enzo Amore defeated Blake and Murphy. April 2, 2016 – WrestleMania Fan Axxess: Colin Cassady and Enzo Amore defeated The Vaudevillains. April 20, 2016 – NXT: Chad Gable and Jason Jordan defeated Colin Cassady and Enzo Amore. April 4, 2016 – RAW: Colin Cassady and Enzo Amore made their main roster debut in a in ring segment with The Dudley Boyz. April 14, 2016 – SmackDown: Enzo Amore and Colin Cassady defeated The Ascension to advance in the WWE Tag Team Championship #1 contenders tournament. April 18, 2016 – RAW: Enzo & Big Cass defeated The Dudley Boyz to advance in the WWE Tag Team Championship #1 contenders tournament. April 28, 2016 – SmackDown: Enzo & Big Cass defeated The Social Outcasts’ Bo Dallas & Curtis Axel. May 23, 2016 – RAW: Big Cass (w/Enzo Amore) defeated Bubba Ray Dudley (w/D-Von Dudley). May 27-29, 2016 – Live Event: Big Cass and Enzo Amore defeated The Dudley Boyz. May 30, 2016 – RAW: Big Cass and Enzo Amore defeated The Dudley Boyz (Bubba Ray Dudley and D-Von Dudley). June 4, 2016 – Main Event: Big Cass & Enzo Amore defeated The Vaudevillains (Aiden English & Simon Gotch). June 4-5, 2016 – Live Event: Big Cass and Enzo Amore defeated The Dudley Boyz (Bubba Ray Dudley and D-Von Dudley). June 10-12, 2016 – Live Event: Big Cass and Enzo Amore defeated The Dudley Boyz (Bubba Ray Dudley and D-Von Dudley). June 13, 2016 – RAW: The Club (Karl Anderson & Luke Gallows) & The Vaudevillains (Aiden English and Simon Gotch) defeated Big Cass, Enzo Amore & The New Day (Big E and Kofi Kingston). June 19, 2016 – Money in the Bank: The New Day (Big E and Kofi Kingston) (c) defeat Big Cass and Enzo Amore, The Club (Karl Anderson and Luke Gallows) & The Vaudevillains (Aiden English and Simon Gotch) in a fatal 4-way match to retain the tag team titles. June 24, 2016 – Main Event: Big Cass and Enzo Amore defeated The Ascension (Konnor and Viktor). June 27, 2016 – RAW: Big Cass and Enzo Amore defeated Carlos Corty and Mitch Walden. July 2, 2016 – Main Event: Big Cass and Enzo Amore defeated The Dudley Boyz (Bubba Ray Dudley and D-Von Dudley). July 2-3, 2016 – Live Event: Big Cass and Enzo Amore defeated The Dudley Boyz (Bubba Ray Dudley and D-Von Dudley). July 4, 2016 – RAW: Big Cass and Enzo Amore defeated The Social Outcasts (Bo Dallas and Curtis Axel). July 5, 2016 – SmackDown: AJ Styles (w/Karl Anderson & Luke Gallows) defeated Enzo Amore (w/Big Cass). July 9-10, 2016 – Live Event: Big Cass and Enzo Amore defeated The Dudley Boyz (Bubba Ray Dudley and D-Von Dudley). July 11, 2016 – RAW: Big Cass and Enzo Amore defeated The Club (Karl Anderson and Luke Gallows) by disqualification. July 14, 2016 – SmackDown: The Club (AJ Styles and Karl Anderson) defeated Big Cass and Enzo Amore. July 16-17, 2016 – Live Event: Big Cass and Enzo Amore defeated The Dudley Boyz (Bubba Ray Dudley and D-Von Dudley). July 19, 2016 – SmackDown Live: Big Cass and Enzo Amore were both drafted by Stephanie McMahon & Mick Foley as a tag team to join Monday Night Raw. July 25, 2016 – RAW: Big Cass and Enzo Amore defeated The Shining Stars (Epico and Primo). July 30-31, 2016 – Live Event: Big Cass and Enzo Amore defeated The Dudley Boyz. August 22, 2016 – RAW: Big Cass w Enzo Amore defeated WWE United States champion Rusev w Lana by count-out in a non-title match, Big Cass qualifies for the the #1 contenders match for the Universal title. September 5, 2016 – RAW: The Shining Stars (Epico and Primo) defeated Big Cass and Enzo Amore. September 12, 2016 – RAW: Epico w Primo defeated Enzo Amore w Big Cass. September 19, 2016 – RAW: Big Cass, Enzo Amore, Sami Zayn, Kofi Kingston and Big E defeated Chris Jericho, Epico, Primo, Karl Anderson and Luke Gallows. September 26, 2016 – RAW: Chris Jericho and Kevin Owens defeated Big Cass and Enzo Amore. October 5, 2016 – Live Event: Big Cass, Enzo Amore & The Golden Truth (Goldust and R-Truth) defeated Curtis Axel, Jinder Mahal & The Shining Stars (Epico and Primo). October 7, 2016 – Live Event: Big Cass, Enzo Amore & The Golden Truth (Goldust and R-Truth) defeated Curtis Axel, Jinder Mahal & The Shining Stars (Epico and Primo). 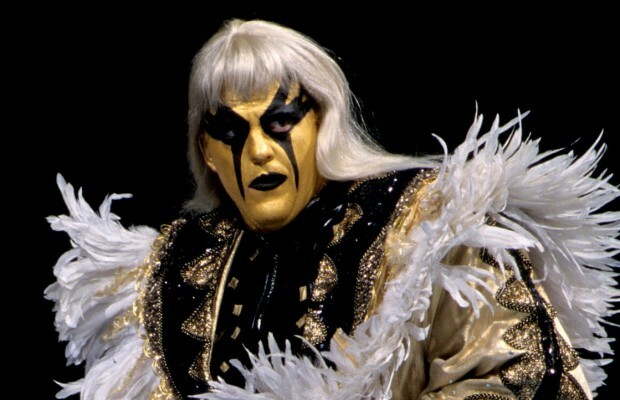 October 8, 2016 – Live Event: Big Cass, Enzo Amore and Goldust defeated Jinder Mahal & The Shining Stars (Epico and Primo). October 22-23, 2016 – Live Event: Big Cass, Darren Young, Enzo Amore & The Golden Truth (Goldust & R-Truth) defeated Curtis Axel, Jinder Mahal, The Shining Stars (Epico & Primo) & Titus O’Neil. October 30, 2016 – Live Event: Luke Gallows and Karl Anderson defeated Big Cass and Enzo Amore. November 2, 4-6, 2016 – Live Event: Big E and Kofi Kingston defeated Luke Gallows and Karl Anderson, Cesaro and Sheamus & Big Cass and Enzo Amore in a 4-way tag team match to retain the tag titles. November 3, 2016 – Live Event: Big E and Kofi Kingston defeated Luke Gallows and Karl Anderson, R-Truth and Goldust & Big Cass and Enzo Amore in a 4-way tag team match to retain the tag titles. November 8-9, 2016 – Live Event: Big E and Kofi Kingston defeated Cesaro and Sheamus and Enzo Amore and Big Cass in a 3-way tag team match to retain. November 21, 2016 – RAW: Rusev w Lana defeated Enzo Amore w Big Cass. November 28, 2016 – RAW: Enzo Amore w Big Cass defeated Rusev w Lana by disqualification. December 14, 2016 – Tribute to the Troops: Big Cass w Enzo Amore and Roman Reigns defeated Kevin Owens and Rusev w Lana. December 16-17, 2016 – Live Event: Seth Rollins defeated Rusev. December 18, 2016 – WWE Roadblock: End Of The Line 2016 Kick Off: Rusev w Lana defeated Big Cass w Enzo Amore by count-out. December 19, 2016 – RAW: Rusev w Lana defeated Big Cass w Enzo Amore by disqualification. January 2, 2017 – RAW: Jinder Mahal and Rusev defeated Big Cass w Enzo Amore in a handicap match. January 9, 2017 – RAW: Big Cass w Enzo Amore and Shawn Michaels defeated Jinder Mahal w Rusev and Lana. January 16, 2017 – RAW: Big Cass and Enzo Amore defeated Jinder Mahal and Rusev w Lana. January 29, 2017 – Royal Rumble: Enzo Amore was in the Royal Rumble match won by Randy Orton. January 30, 2017 – RAW: Big Cass and Enzo Amore defeated Jinder Mahal and Rusev in a tornado rules match. February 20, 2017 – RAW: Big Cass and Enzo Amore defeated Cesaro and Sheamus to become #1 contenders for the RAW tag team titles. February 22-25, 2017 – Live Event: Big Cass and Enzo Amore defeated Rusev and Jinder Mahal. April 2, 2017 – WrestleMania 33: The Hardy Boyz (Jeff Hardy and Matt Hardy) defeated Big Cass and Enzo Amore, Cesaro and Sheamus & The Club (Karl Anderson and Luke Gallows) in a 4-way tag team ladder match to win the RAW tag team titles. April 14, 2017 – Main Event: Big Cass w Enzo Amore defeated Titus O’Neil. May 15, 2017 – RAW: Big Cass w Enzo Amore defeated Titus O’Neil w Apollo Crews. May 22, 2017 – RAW: Enzo Amore was found in the backstage area attacked by a unknown attacker. Big Cass was worried and went to Kurt Angle. May 29, 2017 – RAW: Enzo Amore was once again attacked by a unknown attacker, though this time Big Cass said to Kurt Angle he thought it was The Revival who did it. June 5, 2017 – RAW: Big Cass was this time attacked by a unknown attacker in which Enzo Amore asked for help. Enzo was told to find a partner for his match. Enzo Amore and The Big Show defeated Karl Anderson and Luke Gallows. July 1, 2017 – RAW: Hideo Itami vs. Enzo Amore ended in a no contest. July 9, 2017 – Great Balls Of Fire: Big Cass defeated Enzo Amore. July 10, 2017 – RAW: Big Cass came out to the ring and waited to ask the crowd “How you doin’?” after beating Enzo last night. Then he cuts a promo saying he will go all the way to the top and this is what happens when you mess with Big Cass. Big Cass said no one can touch him who is on his level and out came The Big Show. The two wrestlers started brawled over the ring. July 17, 2017 – RAW: Enzo Amore cut a promo to Big Cass, then Big Cass came out wanting a fight, but Enzo said not with him, out came the Big Show. Big Show and Big Cass brawled. July 24, 2017 – RAW: Big Cass defeated Enzo Amore. Big Show came to the ring after the match and got beat up by Big Cass. July 31, 2017 – RAW: Big Cass defeated Big Show w Enzo Amore by disqualification. August 14, 2017 – RAW: Big promo said by Big Cass towards Enzo Amore & The Big Show. Enzo Amore later came and did the same and introduce the Big Show. Karl Anderson & Luke Gallows came in and helped Big Cass attacking The Big Show. August 20, 2017 – SummerSlam: Big Cass defeated The Big Show. Enzo was put in a Shark Cage. August 21, 2017 – RAW: Enzo Amore defeated Big Cass in a street fight. Big Cass suffered an injury in this match and will be out of action for a long time. August 22, 2017 – 205 Live: Enzo Amore showed up on 205 Live and cut a promo to Neville. August 28, 2017 – RAW: Enzo Amore defeated Noam Dar. September 5, 2017 – 205 Live: Enzo Amore defeated Cedric Alexander, Gran Metalik, The Brian Kendrick and Tony Nese in a 5-way elimination match to become #1 contender for the cruiserweight title. September 11, 2017 – RAW: Enzo Amore was a special guest on The Miz TV. Enzo Amore defeated WWE Intercontinental champion The Miz w The Miztourage by disqualification in a non-title match. September 13-16, 2017 – Live Event: Neville defeated Akira Tozawa and Enzo Amore in a 3-way match to retain the cruiserweight title. September 29-30, 2017 – Live Event: Neville defeated Enzo Amore by disqualification. Amore retains the cruiserweight title. October 6-8, 2017 – Live Event: Enzo Amore defeated Mustafa Ali to retain the cruiserweight title. October 10, 2017 – 205 Live: Kalisto and Mustafa Ali defeated Enzo Amore and Ariya Daivari. November 6, 2017 – RAW: WWE United Kingdom champion Pete Dunne defeated WWE cruiserweight champion Enzo Amore in a non-title match. November 7, 2017 – 205 Live: WWE cruiserweight champion Enzo Amore defeated Tyler Bate in a non-title match. December 12, 2017 – 205 Live: Tony Nese defeated WWE cruiserweight champion Enzo Amore by disqualification in a non-title match. January 5, 7, 2018 – Live Event: Enzo Amore defeated Cedric Alexander to retain the cruiserweight title. January 8, 2018 – RAW: Cedric Alexander defeated Enzo Amore by count-out. Amore retains the cruiserweight title. January 12-14, 2018 – Live Event: Enzo Amore defeated Cedric Alexander to retain the cruiserweight title. January 15, 2018 – RAW: Cedric Alexander w Goldust defeated Tony Nese w Enzo Amore. January 16, 2018 – 205 Live: Goldust w Cedric Alexander defeated Tony Nese, Ariya Daivari and Drew Gulak w Enzo Amore in a handicap match. January 22, 2018: WWE has suspended Enzo Amore. January 23, 2018: WWE has released Enzo Amore. 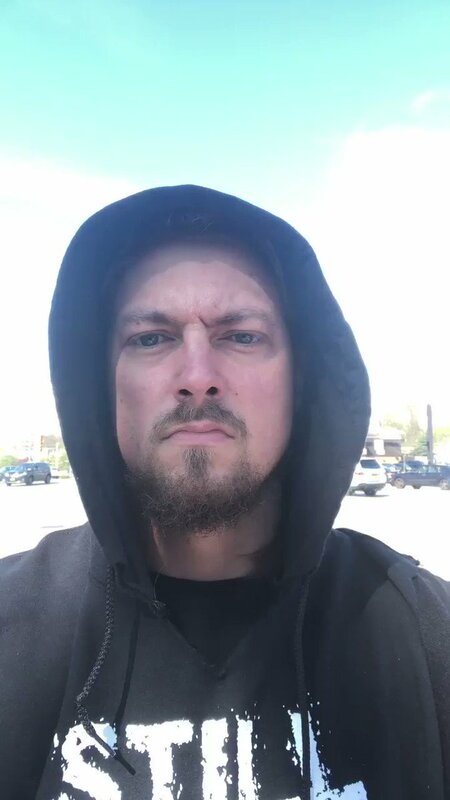 April 6, 2019 – ROH/NJPW G1 Supercard: Big Cass and Enzo invaded Ring Of Honor by jumping the security fence.